All you need after a comforting meal is a belly-warming pudding to round it all off. 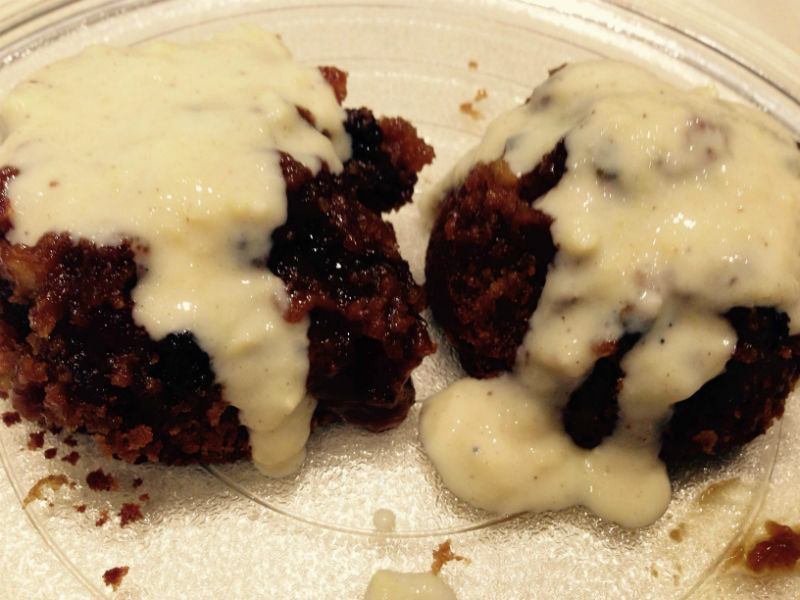 These warm puddings are full of sweetness thanks to Lamb Brand’s tiny dried fruits. 2. Butter 6 individual pudding basins and line the bottom of each with a small circle of baking parchment. Sit them in a deep roasting tin and boil the kettle. 3. Place the butter, flour, sugar, zests and eggs into a bowl with a pinch of salt. Whisk with an electric hand whisk until just combined. 4. Stir in the dried fruit, then divide between the moulds. Carefully pour hot water from the kettle into the tin until it comes about one-third to halfway up the sides of the moulds. 5. Bake for 25-30 minutes until a skewer pushed in comes out clean. If making ahead, leave the puddings to cool, cover for up to a day, then turn out of the moulds into a microwave-proof dish and microwave, three at a time, for 1-2 minutes on high heat until hot.